Our official Beta Test program has started. Over 70 Lex Arcana supporter groups all over the world have received the first file and are ready to begin. Many of you reading the Acta Arcana are among them: we are truly excited to have you on board for this special mission of the Cohors Arcana! The official Lex Arcana international premiere will be held on Saturday 25th May, from 5 p.m. to 12 a.m., in the wonderful Stadium of Domitian archaeological site, a World Heritage Site near Piazza Navona, in Rome. The cultural association Il Salotto di Giano, in collaboration with Quality Games and Need Games, is organizing the “Dominus et Deus” event. History, mythology, arts, culture and roleplaying will come together to create a unique, immersive experience for one special night. We will explore the enormous building preserved beneath the beautiful Piazza Navona, admire the small masterpieces painted by the artists of the AL.FA. Model Store, and discover the flavors of Ancient Rome through delicacies prepared to historic recipes. The evening will end with a special mission to save the Empire open to all attendees. Are you ready to enter the arena and fight for your Emperor? More guests, gadgets for participants and surprises yet to be announced. Join us and become a legend! Your Custodes have travelled across the Empire's lands and seas, from one border to another of the known world. Why not dive into the depths of the kingdom of Neptune? 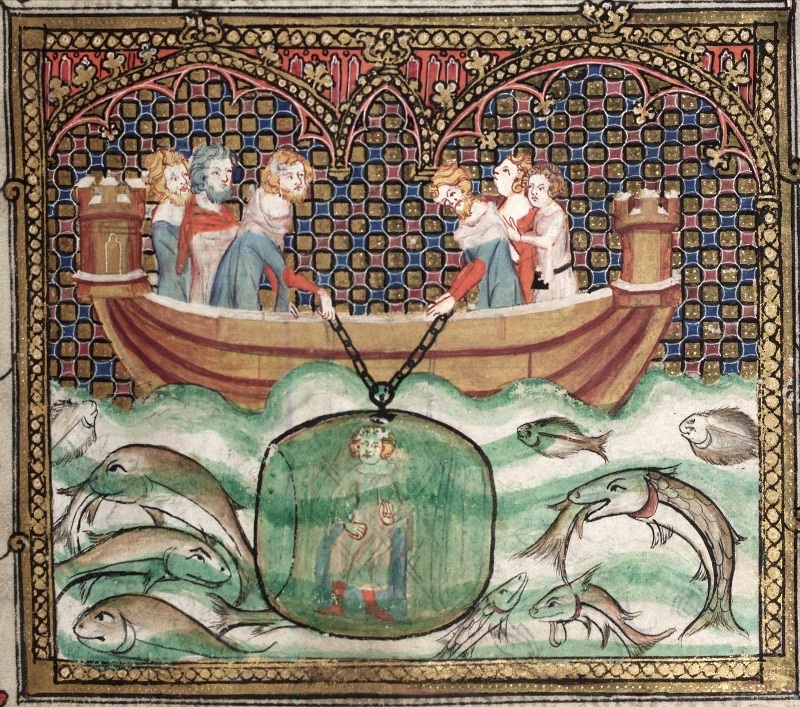 The diving bell is not a retro-sci-fi device, but a contraption described by Aristotle himself. It was also probably used before the 4th century BC to fish sponges, pearls and other underwater treasures: "...they enable the divers to respire equally well by letting down a cauldron, for this does not fill with water, but retains the air, for it is forced straight down into the water." Other ancient sources report its use throughout antiquity, and even Alexander the Great would have seen and perhaps used, this device during his expeditions. This very special contraption, created by the most skilled inventors and founders of the Empire, is also included in one of the adventures of the Adventure Book 1: The Sons of Caligula, by Mark Rein-Hagen. As usual, find more news about this on the Web! How is game production proceeding? Corebook: the beta test program is live. Go on, Custodes! Adventure Book: the final adventures are ready for layout. Sourcebook Aegyptus: the first draft is under revision. Encyclopedia Arcana: the first draft is in progress. Art and layout: all art requests have been selected and sent. We are working on new maps! That's all for today. Remember that our Backerkit shop is open! If you want the Acta to cover specific topics, if you have doubts or questions about Lex Arcana, or if you want to send us a contribution, just let us know. 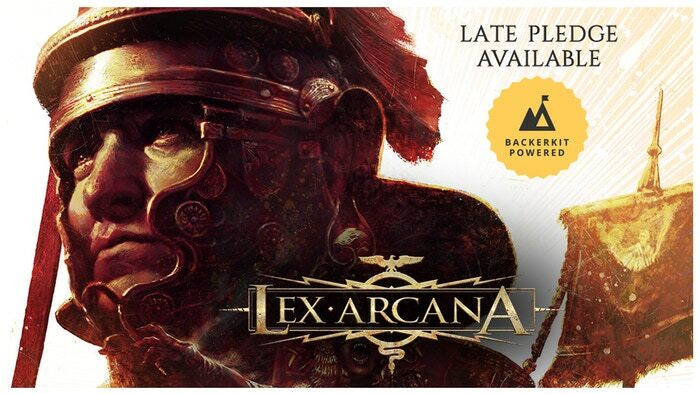 Sign up and enter the world of Lex Arcana! Receive our newsletter to read news, articles, reports, and information about the Lex Arcana project, the work in progress, and the advancement status. Enter your e-mail to join the Cohors Auxiliaria Arcana!